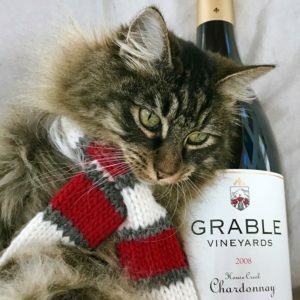 Our beautiful California was on fire again this year which means it’s time for a Holiday Wine Release brimming with fresh Fire Relief efforts and a Grinch poem redux! Order Magnums and support Fire Relief! We’d love to deliver good cheer from our vineyard to your Holiday table! And we’ve got Magnums to make your celebrations big and festive! ‘Tis the season for giving, and 50% of proceeds from Magnum sales will be donated to North Valley Community Foundation’s Camp Fire Relief Fund to provide aid for those affected by the devastating Camp Fire. Let’s help our Northern California neighbors recover, rebuild and return to Paradise! 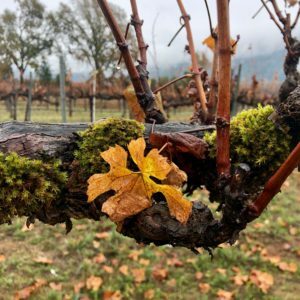 Wine Spectator spotlights Fire Relief (and Grable Vineyards)! Check out this fabulous Wine Spectator article highlighting the many ways in which Chefs, Wine Merchants, Wine Producers (including Grable Vineyards!) and other Industry Pros are reaching out to support California fire victims! Every contribution helps – no matter how big or small, and by ordering a magnum, you are supporting California fire victims and their communities! Who’d want a Grinch-heart two sizes too small? When a Magnum is big, with wine plenty for all! And that big stunning bottle at your Holiday Feast? It’s surely more elegant than any Roast Beast! Fine Wine and Goodwill are two worthy prizes… And in giving, we’ll find that our hearts grow three sizes! With Fire Relief Aid, we’ll show that we stand, both heart to heart, and hand in hand. We are delighted to announce the much anticipated release of our 2015 House Creek Chardonnay, 2013 Patience Cabernet Sauvignon and 2013 Liquid Twitter Cabernet Sauvignon. You’re going to love them! Wine gifting is fun and easy! And we’ll make it extra convenient and super special by including a gift tag or handwritten letterpress note with your gift! You can order online or drop us a note with your requests or wishes. Visit us online to view your allocation and holiday pricing including 50% off ground shipping for six or more bottles to a single destination! Drink it! Share it! Gift it! 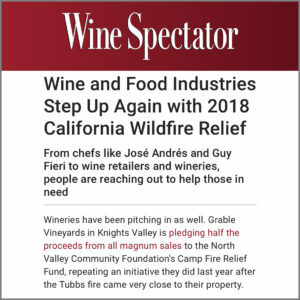 Wine Spectator spotlights 2018 Fire Relief Efforts by the Wine and Food Industries. Check out this fabulous Wine Spectator article highlighting the many ways in which Chefs, Wine Merchants, Wine Producers (including Grable Vineyards!) and other Industry Pros are reaching out to support California fire victims! Every contribution helps – no matter how big or small! 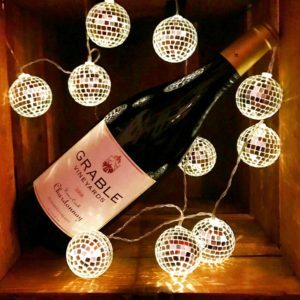 We welcome you to join Grable Vineyards in our ongoing Fire Relief effort… By ordering a magnum, you are supporting California fire victims and their communities! 50% of proceeds from magnum sales will be donated to the North Valley Community Foundation’s Camp Fire Relief Fund to provide aid for those affected by the devastating Camp Fire. Let’s help our Northern California neighbors recover, rebuild and return to Paradise! Sign in or join our mailing list to view your allocation. Special holiday discounts will be applied to all wines except magnums. 50% of proceeds from magnum sales will be donated to the Camp Fire Relief Fund. New members can use the code PARADISE at checkout to receive a holiday discount on 750ml wines. We are grateful to you for supporting those affected by the devastating Camp Fire! Please read Ben O’Donnell’s excellent article on winespectator.com. Thank you Ben and Wine Spectator for sharing these assorted tales of goodwill! Don’t forget… Order by December 12th for Wine Gifting and Holiday Shipping! We’d love to deliver good cheer from our vineyard to your Holiday table! And we’ve got Magnums to make your celebrations big and festive! 100% of the proceeds from Magnum sales will be donated to North Bay Fire Relief to assist fire victims and to aid relief efforts after the devastating Northern California firestorms. We are delighted to announce the much anticipated release of our 2014 House Creek Chardonnay, 2012 Patience Cabernet Sauvignon and 2012 Liquid Twitter Cabernet Sauvignon. You’re going to love them!